By now, you probably already have an inkling that Facebook isn’t just for connecting with good friends and family, it can be utilized for business purposes and generate Facebook leads. “Nothing draws a crowd like a crowd.” This quote is really a testament to the social dynamics of us humans, and why Facebook has grown in reputation. It offers the function of keeping in contact with friends and people inside your community, but with now over a BILLION (yes, with a “B”) members it really has developed into a household name around the globe in multiple languages! 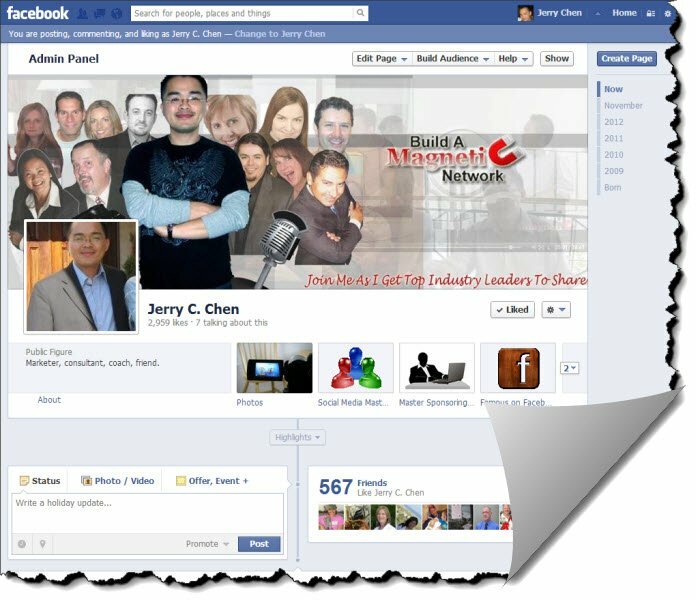 Should you go about it the proper way, Facebook can offer you on a modest scale what they’ve carried out on a big scale – attract a crowd by producing one! That is… if you do it right. Facebook, in many ways, is a giant website that interconnects many many smaller web sites, and this inter-connectivity is where all the magic happens. To leverage Facebook effectively for business, you must first plan what you are intending to put in your Facebook fan page (in this article we’ll discuss a “fan page” rather than a “personal profile”). A few hours of research will be enough to get you some valuable insights as to what your target market desires and wants. The next thing you need to do is take that information and build a profitable page around it by creating content that can fulfill their desires and wants. This information will be very valuable to you in the planning stage. Once you’re done setting up your Facebook page, it’s time to get traffic to it. You can buy Facebook advertising or promote it like any other web page to show up in the search engines by applying a few SEO principles and getting a few back links to your page… basically, linking to it whenever possible and perhaps with the help with an auto backlink generator. When you get 25 likes on your page, Facebook enables you to use a personalized or “vanity” Facebook URL to help you brand your business and name. Be sure to include it to your e-mail signature or any other place where you can advertise (without spamming). Take a look at effective small-business Facebook pages and see if you can make your page according to the exact same formula they use to put their pages together. Exactly how are they able to establish such a lively community? Be sure to respond to your fans – it keeps them engaged so they return for a second, third and forth serving! Reciprocation is a powerful tool. Basically, be social! Join groups. Start by making a couple of useful remarks that’ll get your name out there (and thus your page). And when People see that you understand what you are talking about, they’ll value your opinion more and more, and from there you build rapport and trust. Post vidoes, participate in conversations, leave a valuable suggestion, and get a few ads out there to your target audience to attract attention. The key is to provide value and solution instead of being a troll that hunts people down! Consistency builds momentum, and THAT is the real magic behind constructing a thriving community. Before you get too eager about generating Facebook leads, understand that this is social marketing. It does not work the same way as direct marketing. People naturally do not go to Facebook to go shopping. After all, we’re dealing with live human beings in a way that is second only to face-to-face marketing so capturing your target market’s attention, and then creating a trusting and mutually beneficial relationship is critical. The lessons from Dale Carnegie’s How To Win Friends And Influence People still apply here just as they do in the offline/dirt world. Liking other people’s Facebook pages, linking to their groups, uploading useful content, contributing to conversations are all excellent methods to go about it. If available, offer your free webinars, consultations, discounts, add useful videos and entertaining factors like contests and polls. Use the Event feature and get other people involved to make them feel like they’re part of a caring community. Forget what you are promoting for now. You have to build value into your page and into your fans’ minds in order to generate qualified Facebook leads because once trust is earned, the rest is much easier! If you’re interested in a more detailed explanation and demonstration on how to generate Facebook leads, here’s a 86-minute webinar that will show you exactly that (at no cost to you).